Every once in awhile, a really special book comes along. 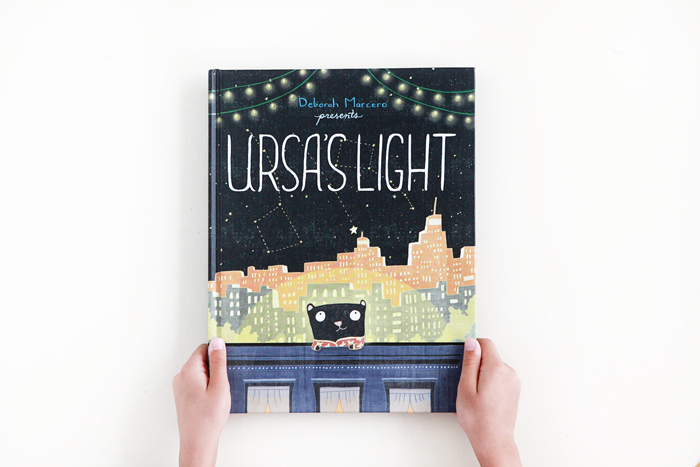 Both the narrative and illustrations in Deborah Marcero’s picture book debut Ursa’s Light are exquisite and luminescent. Be sure to check out the very thoughtful teacher’s guide including writing prompts and design/art activities on Deborah’s site, definitely a nod to her background as an educator. She also has a BFA in drawing and photography and an MFA in poetry. I loved reading Deborah’s story behind Ursa on her blog, and how it related to her own life. Kudos to Deborah Marcero on her first picture book, and for adding such a treasure to the world of children’s literature. PS. Check out Deborah’s lettering on her website. It is out of this world!